Marigolds are annual flowering plants. Native to Mexico, marigolds prefer full sun and well-drained soil. Marigolds are related to asters and grow easily from seed or transplanted bedding plants. 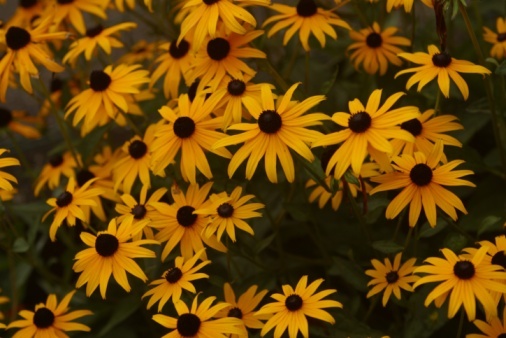 These plants bloom in summer with colors in shades of yellow, orange and red with solid, bi-color and striped flowers. Choose varieties from 6 to 36 inches in height. Cut back marigolds to encourage healthy foliage and prolific flowering. Pinch back young marigolds in spring and early summer. When the plants are 6 to 8 inches tall, pinch or cut back foliage tips and new buds to encourage branching. The plant puts out lateral branches and buds. This branching creates bushier foliage and more flower buds. This technique turns leggy growth on young plants into more compact and sturdy plants. When a plant has many flower buds, pinch off some buds to divert energy to the remaining buds for larger flowers. Tidy up your marigolds by deadheading during the growing season. Cut back dead or fading flowers. After a flower passes its peak bloom, it shrivels and dries into a seed head. 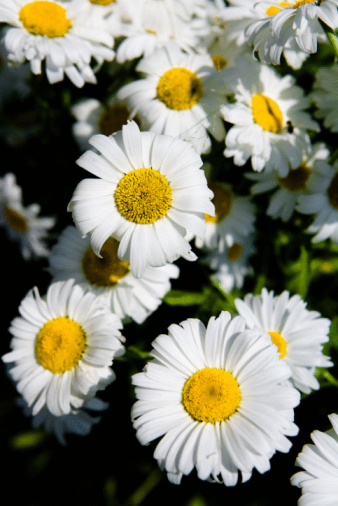 Removing dead flower heads encourages more blooms. Pinch off each head individually or cut back the head and stem down to the foliage. Marigolds bloom profusely from spring through autumn when they are deadheaded or frail buds are removed. At the same time, trim off any dead, diseased or discolored foliage. Shear your marigolds in mid-summer. When marigolds look bedraggled or fatigued, revitalize them by cutting off flowers and foliage. Cut back up to one-third of the plant. Pinch off leaves and flowers on dwarf marigolds. Use hand shears or clippers for clean cuts on other marigold varieties. Remove the tired or old growth so that the plant puts its energy into new foliage and flowers. Fertilize lightly with a balanced plant food and water the plant after shearing. 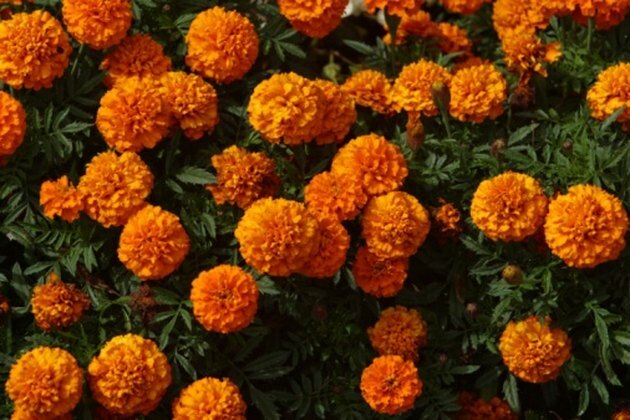 Your marigolds may look ragged for a week or two after this shearing, but the plant benefits from the mid-season boost. Cut back French marigolds in autumn to fight root knot nematodes. Nematodes are soil-dwelling parasites that attack plant roots and harm plants. Dwarf or French marigolds give off natural compounds that are toxic to the nematodes. The marigold compounds are most effective after several months in the soil. Some gardeners plant French marigolds around vegetable beds in the spring. The marigolds mature and expand their roots during summer. In autumn, the foliage is cut back and the roots are chopped or cultivated into the soil for added nematode control. 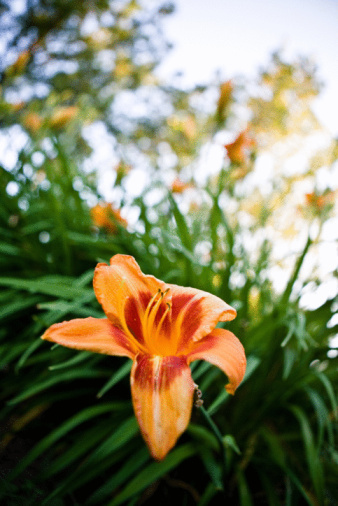 How Do You Cut Back Asiatic Lilies?